Books on the evolution of the human brain - Jon Lieff, M.D. Many books attempt to explain how and why the human brain developed. One group of books explains the latest science including the neuro-anatomy and fetal development. Some of these books detail interspecies comparisons with other highly developed creatures like primates, whales, dolphins, and elephants. Other books propose a theory as to why the human brain has developed as it has. In truth, we don’t know exactly how or why the human brain grew from previous types of brains while dramatically improving its capacities. 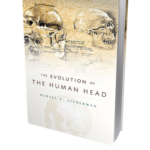 The book by Lieberman, The Evolution of the Human Head, has great detail about the structure and development of the brain; in addition, it describes the evolution of the surrounding sensory organs and skull. It is an excellent summary of all the scientific data available. 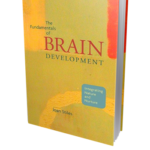 The book by the neuropsychologist Dr. Stiles, Fundamentals of Brain Development, gives an excellent description of how the human brain develops from the fetus. It also tackles questions of how nurture versus genes could affect various aspects of the development. 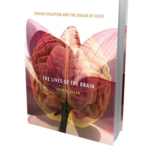 The Allen book, The Lives of the Human Brain goes into detail about possible effects of feeding, language and other possible factors in the rapid evolution of the brain. 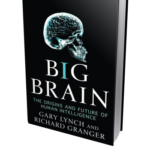 The book by Lynch and Granger, Big Brain, has wide ranging views from allied fields as well as very good descriptions of the anatomical evolution. It covers many controversies such as about the importance, or lack of importance, of big brains. Their preferred theory is that the size was determined by the development of walking allowing a bigger pelvis and bigger babies brains.